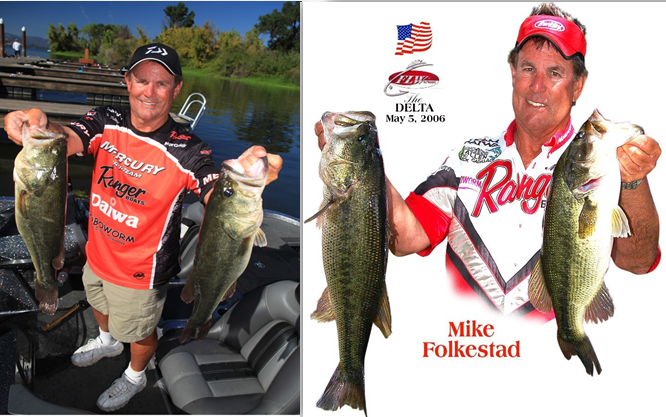 Mike Folkestad ... Bass Fishing Blog: My head-on collision with a BURRO, and a totaled truck! Leaving Lake Havasu at 6:30 in the morning on highway 95, I was headed toward highway 40. About 5 miles out of the city, from out of nowhere the burro appeared in the middle of the road. I was going about 65 mph. I slammed on the breaks and screamed "OH SH**"! It stopped the truck in it's tracks and the airbag went off. I had to pry the doors open with my feet and squeeze out. Luckily, I didn't even have a bump, scratch or bruise! To my surprise, I had hit 2 burros instead of 1! It was a sad sight. The highway patrol showed up and put the burros out of their misery. My wife showed up in my sister-in-law's SUV, we loaded all my fishing tackle into it. Thank goodness, I wasn't towing my boat! My wife, sister-in-law, and I drove home. 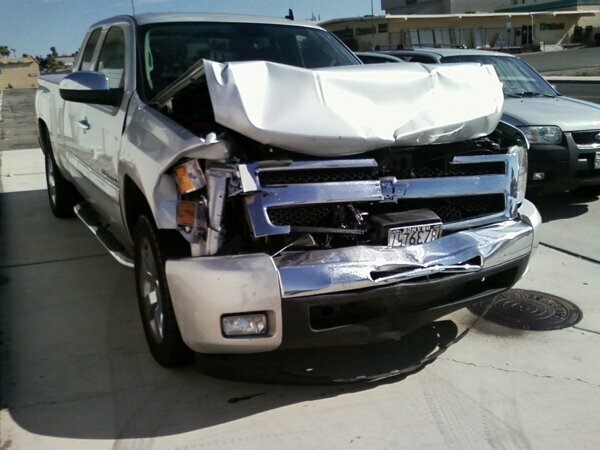 The truck was totaled so on the way home to Southern California, I purchased the same exact truck (2011 Silverado 1500 extra cab) from Selman Chevrolet for $800 less than I paid 10 months ago. What a great deal! They now have flashing signs on 95 warning everyone about the burros! Please be cautious if you travel that road, there have been 4 fatalities along that stretch. Glad to hear yo are OK Mike. Shew!, glad to see you came out of it without a scratch. Had to be a heck of a hit.